It’s been a while since we’ve seen a cover of Anna Kendrick’s song “Cups,” but this one is definitely worth the wait. It’s the cutest one we’ve seen and not just because the videographer is David Beckham. 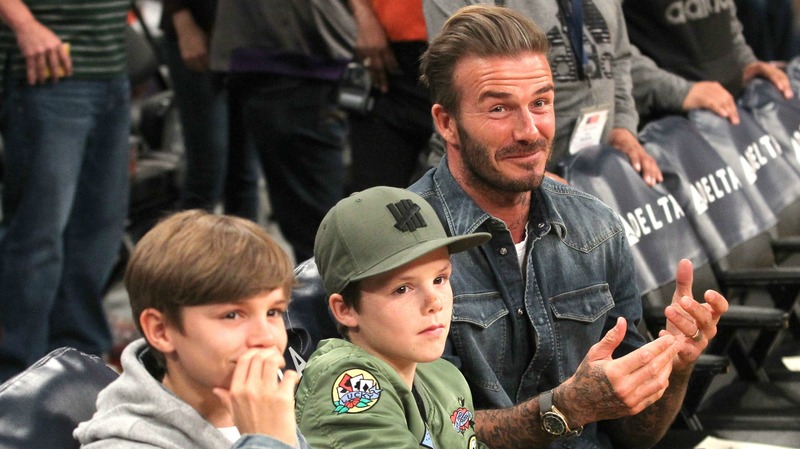 Romeo Beckham, the middle son of Victoria and David, showed off his singing and tapping skills on David’s Instagram when he did a cover of the famous Pitch Perfect song. The proud dad showed Romeo’s full cover of the song along with the caption, “Look at my little man go. Ridiculously cute and the enjoyment in his face whilst doing it just makes us smile.” He then tagged Victoria along with Romeo and his brothers, Brooklyn and Cruz (sister Harper is probably too young for her own account). Romeo was also the face of Burberry’s Christmas advertisements last year. So, if you’re keeping track, this family is full of people who are as talented in arts and athletics as they are beautiful. Oh, and Romeo is only 13. Who knows what he’ll be able to accomplish by the time he’s an adult. David hasn’t been on Instagram long, but in the time he has, one thing that’s apparent is how much he loves and supports his family. Most of his posts are tributes to his wife or one of his kids and him boasting about their talents. It’s an endearing balance of giving people a glimpse into their otherwise private lives and not being pushy about how successful and beautiful they all are. This video was just one example of a genuinely proud dad showing off his son’s talents; he just happens to have 21.8 million followers. So far, Anna Kendrick hasn’t responded to the video, but I’m sure if she does it will be hilarious. What do you think of Romeo’s performance? Should he follow in his mom’s footsteps and be a pop star?